The final Kresge/Inyathelo Vice-Chancellors’ Leadership Retreat. The conference focus and discussion raised important questions with regard to current success of South African universities in graduating students with the skills required for South Africa’s development; the positioning of South African universities in the global research context; and the role of third stream and donor funding in ensuring the long-term growth of our university sector. Key discussion sessions are included in this new report, focused on issues such as “In a divided world, what is the role of institutions in the global south?”; and “Is there cause for hope, despair or something in between?”; as well as “How do we go forward and do better?” . 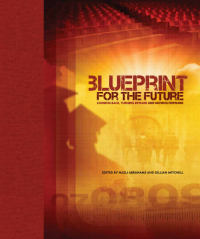 Read the Blueprint Report to find out current thinking amongst South Africa’s tertiary education sector leadership.